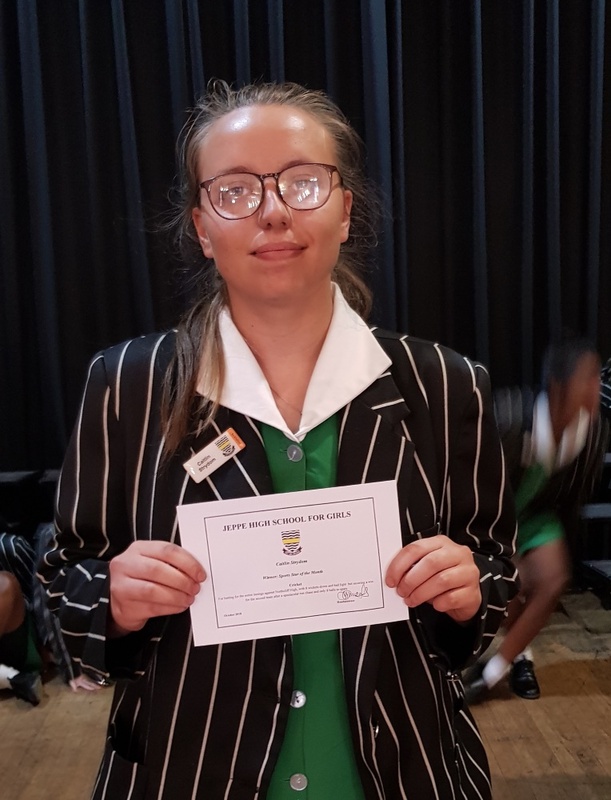 Congratulations to the Winner of the Sports Star of the Month: Caitlin Strydom (cricket). Caitlin batted for the entire innings against Northcliff High, with 8 wickets down and bad light. She was instrumental in securing a win for the second team after a spectacular run chase and only 8 balls to spare. Copyright © 2019 Jeppe High School for Girls. All rights reserved.